We’re often asked, who are the top ten business speakers? This year, many changes are expected in the realm of politics, healthcare, and our economy. How exactly, will these big changes affect your business? Our top ten business speakers are the world’s best experts on topics such as economics and finance, and bringing the perfect business speaker to your company will be vital in addressing your team’s specific concerns, and unique attributes. To help guide you in your search for bringing in the top business speaker to your event or conference, we have compiled a list of this year’s top ten booked business speakers. Best known as a panelist on ABC’s Shark Tank, Barbara Corcoran is a self-made real estate mogul, entrepreneur, and author. Corcoran’s business keynote tells her inspirational story of turning a $1,000 loan into a $5 billion dollar real estate company. As a business speaker, Barbara Corcoran brings her front-line business experience and infectious energy to every group she addresses. Motivational, inspirational, and sometimes outrageous, Barbara Corcoran’s tell-it-like-it-is attitude is a refreshing approach to business success. Many know him as the “business turnaround king” and star of CNBC’s prime time reality series The Profit. Lemonis’ notoriety has been established by his tenacity, shrewdness and determination. His biggest business success is as the chairman and CEO of Camping World, the nation’s largest RV and outdoor retailer, and Good Sam, the world’s largest RV owner’s organization. On his TV show, The Profit, he lends his expertise to struggling small businesses around the country, judging and improving them with a “3P” principle: “People/Process/Product”. Marcus Lemonis drives results through collaborations, partnerships and relationships and advises aspiring entrepreneurs to stay focused, work hard, know your numbers, and be disciplined. Marc Randolph is the co-founder and original CEO of Netflix. He is also a veteran Silicon Valley entrepreneur whose career as an entrepreneur spans more than four decades. He’s been a founder of more than half a dozen other successful startups, a mentor to hundreds of early stage entrepreneurs, and an investor in numerous successful tech ventures. He frequently speaks at business events around the globe. His message is a blend of inspiration and actionable business goals drawn from the starting and growing of Netflix, and other startups. Known for his 13 year professional basketball career, which includes 12 NBA All-Star games, and Olympic gold medal win, Earvin “Magic” Johnson is also one of our most requested business speakers. After retiring from professional basketball, Magic turned his interest toward entrepreneurship and became a leading spokesperson for HIV education. After leaving the ballcourt, Magic turned to the board room. He established the Magic Johnson Development Corporation, which builds commercial property in long-neglected minority urban and suburban neighborhoods. Magic Johnson now runs his own company, Magic Johnson Enterprises, which is constantly evolving, acquiring and selling businesses frequently. It owns, or has owned, franchised branches of Starbucks, Burger King and T.G.I Friday’s. Johnson also stayed true to his sports roots by investing in both the Los Angeles Lakers and the Los Angeles Dodgers. Jeff DeGraff ‘s creative and direct take on making innovation really happen have made him a world renowned thought-leader and have earned him the moniker “The Dean of Innovation”. Jeff is a Clinical Professor of Management and Organization at the University of Michigan’s Stephen M. Ross Business School. He is also the founder of leading innovation institute, the Innovatrium, a laboratory for experimenting with new ideas and creating tangible prototypes that has labs in Ann Arbor and Atlanta. As a business speaker on innovation, Jeff is a natural performer and with his extensive experience you will get an exciting presentation that will propel any company to innovate. Jeff is a great business speaker to bring into your organization to provide your people with tips and tricks to boost innovation and creativity from how you structure your business model to how you set up your office space. One of our favorite and most colorful top 10 business speakers is Fredrik Eklund. Fredrik Eklund, the energetic, high-kicking, top broker at Douglas Elliman has secured over two billion dollars in closed residential sales. Constantly rated as New York City’ “Top Luxury Broker,” he set record sales in 28 buildings in Manhattan last year alone and is often spotted showing apartments to top name celebrities including Sara Jessica Parker and Jennifer Lopez. He was also the star of Bravo’s hit series Million Dollar Listing New York. Fredrik also frequents the main stage at major business events; and with his larger than life personality and record breaking sales acumen, Fredrik will capture the interest of any size audience. One of Fredrik’s most memorable events this year was in Sweden to an audience of nearly 3,000 people. To say that the event was a success would be an understatement. It was a home run hit that took the audience from fits of laughter, to tears, and then to their feet for a standing ovation. As the Chair of a major investing fund, the former CEO of Citi Global Wealth Management, and former President of Global Wealth & Investment Management for Bank of America, Krawcheck knows a thing or two about business and finance. She has been listed as one of Forbes’ and Fortune’s “Most Powerful Women” in business and U.S. Banker’s top “Woman to Watch.” She is a past recipient of CNBC’s “Business Leader of the Future Award,” was one of Time magazine’s “Global Business Influentials,” Fortune’s “Most Influential Person Under the Age of 40” and an “Institutional Investor” top CFO in financial services. She was recognized by the World Economic Forum as one of its Young Global Leaders and has been lauded as an exceptional top female business speaker for businesses and associations. Krawcheck’s business speaker keynotes include a refreshing mix of humor, passion, and invaluable learnings from her extensive business experience. As business keynote speakers, Bert and John share their inspirational story of launching their business with $78 in their pockets, selling T-shirts in the streets of Boston. Today, Life is Good is a $100 million positive lifestyle brand sold by over 2,000 retailers across the US and Canada. In addition to tremendous business success, Life is Good epitomizes social corporate responsibility – the company was founded on the tenants of optimism, gratitude, and authenticity. Life is Good donates at least 10% of its annual net profits to the Life is Good Kids Foundation to positively impact over 120,000 kids daily facing poverty, violence, and illness. Bert and John Jacobs have lived and breathed “giving” at every stage of Life is Good’s growth and also donate all of their speaking fees to the Life is Good Kids Foundation. Geopolitical Strategist Peter Zeihan is a global energy, demographic and security expert. While Zeihan is best known for his expertise in geopolitics, knowing the ins and outs of domestic and international markets, economies, and relations is more vital than ever before in understanding how to prepare your business to best succeed during times of change. Zeihan explains how geography and economic and political climate elevates some business sectors while enervating others, and what sort of surprises — both good and bad — are about to burst onto the stage. Matthew Luhn is one of the original story creators at Pixar. An accomplished storyteller, instructor, business keynote speaker, and story consultant, Luhn dropped out of college to pursue a career at Pixar. 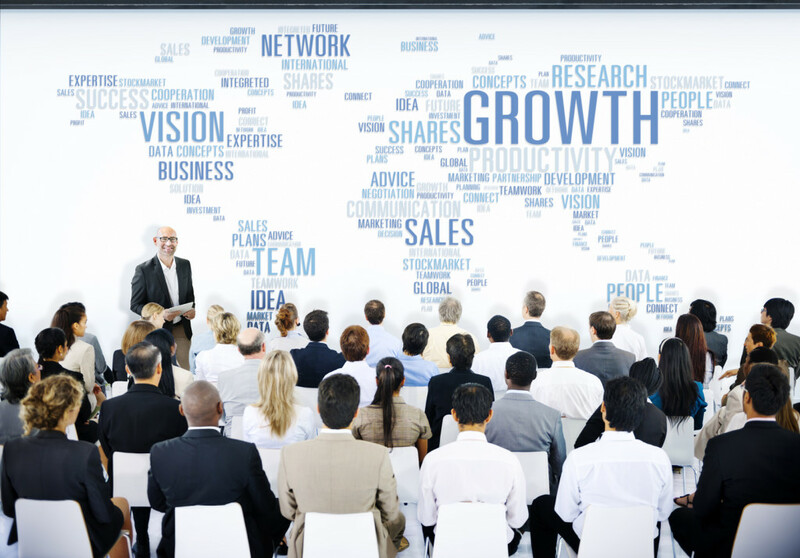 Matthew frequently speaks at large scale corporate business events. This year he spoke at Dreamforce, SalesForce’s mega 3-day experiential conference in San Francisco about the importance of telling a story and of making audiences feel something through marketing and advertising materials. Booking one of these top ten business speakers will ensure your audience has a dynamic, engaging and memorable experience. Each of these keynote speakers has an inspirational story, motivational message and provides practical takeaways for attendees.